Valley Stream homes for sale are located south of Queens, NY and just a 15 minute drive to John F. Kennedy International Airport. Valley Stream has Sunrise Highway (Highway 27) running through the center of the community, which has great links to Manhattan, Jersey City, and Staten Island. No matter where you want to go, you'll find it a breeze to get around in this centrally located village close to beautiful parks, convenient shops, and tasty restaurants. If you are a first-time buyer, an investor looking for an exceptional investment property, or someone that wants a large family home to host dinner parties for friends and family, Valley Stream will not disappoint! Take a look at the property listings below for Valley Stream real estate, or learn more information about the types of properties and what the community of Valley Stream has to offer. Free Standing Building On A 20,500 Square Foot Lot. Suitable For Development. Property Can Be Sold Separately. For unrestricted access to Valley Stream real estate listings, please register with Rizwan Basit. You'll be able to can save custom searches and bookmark your favorite properties! The Valley Stream real estate market is primarily single-family and multi-family homes. Whether you're looking to live in the home and rent out a separate suite, not live in the home and rent it all out, or buy a property that is only for you and your family, there are options for everyone in this fantastic community. If a more luxurious home is what you are looking for, then you'll also find some options that are sure to make you happy. More affordable housing options can be found throughout Valley Stream. However, for first-time buyers looking to get into the property market, it might be wise to focus your search around areas in the southern end of the community such as Skidmore Place, Fordham Street, and Cochran Place. This area has homes that have about 1,000+ square feet of living space, 2-3 bedrooms, and 1 bathroom. You'll be getting a home that you may have to put some work into, but given the great location, you'll be sure to add value to the home and start moving up the property ladder quickly! In the northern section of the community, first-time buyers and investors will find good deals in communities such as East Beverly Parkway, Camdike Street, and Jefferson Avenue. These homes have about 1,200+ Square feet of living space, with 3 bedrooms and 2 bathrooms. The price point is slightly higher, but you get more space and an extra bathroom. If you are a young family starting out or an investor looking to rent the house out, these areas are a great place to start your search in. If you are a first-time buyer that is not quite ready to own a house, then get your property journey started with a Valley Stream Condo for sale. There's not a large selection of condos and townhomes to choose from, as the majority of offers are single-family homes or multi-family properties. However, to begin your search you should have a look at some of the apartment-style condos along Hunter Avenue. Whether you want 1 or 2 bedrooms, you'll find something that fits your budget and lifestyle in these maintenance-free housing options. Valley Stream has a good selection of investment properties to choose from. Whether you are looking to subsidize your mortgage by renting out an already in place legal suite or you are an investor looking to purchase a home with multiple suites to rent out, there's something for every level of an investor in Valley Stream. If you are an experienced property baron then you could find a great deal on a foreclosure property in this area. If you are buying your first home, then you need to fully understand the foreclosure process before entering the market. Being so close to one of the major shopping centers in the world in Manhattan, you'll always be able to get everything on your wish list! Valley Stream itself has all the daily and weekly shopping and dining options you could want. Green Acres Mall is located at Mill Road and Sunrise Highway. This large shopping complex has a variety of big box stores, a Walmart Supercenter, and a good selection of restaurants. 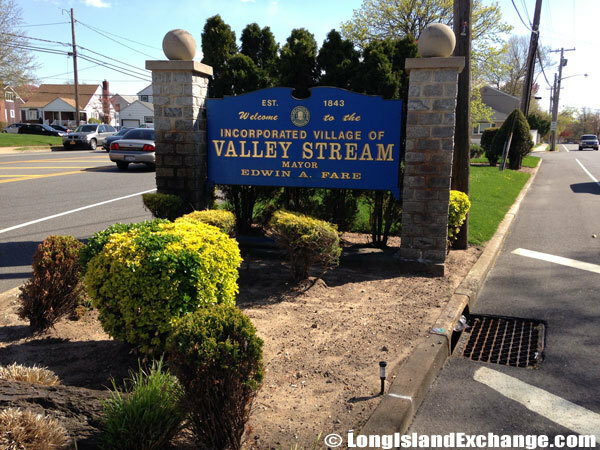 Would you like more information about Valley Stream real estate? Contact Rizwan Basit to show you Valley Stream properties that fit your needs and lifestyle.